The PRP Board Authority meets the second Thursday of every month, and more often when required, to deal with Park business. Day-to-day operations are delegated to the Park manager/administrator and a team of staff who maintain and operate the park, including but not limited to the grounds, public facilities, entry gate, marina, pool and concession. Board members are appointed by the founding members (surrounding villages, towns and rural municipalities) from the original order-in-council who came together to create the regional park. 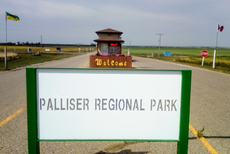 Board members are appointed to represent the best interests of Palliser Park as a whole as outlined in our Constitution.